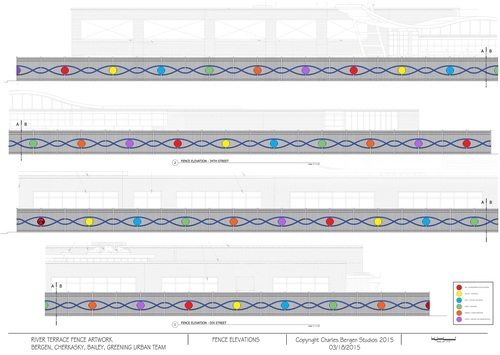 The Charles Bergen Studios-led team -- Mara Cherkasky (Historian), Brandon Bailey (Artist), and Chris Earley (Civil Engineer) – was commissioned by Washington D.C. Public Schools to create an artwork for the 590 foot long Perimeter Fence Artwork for the River Terrace Special Education Center. 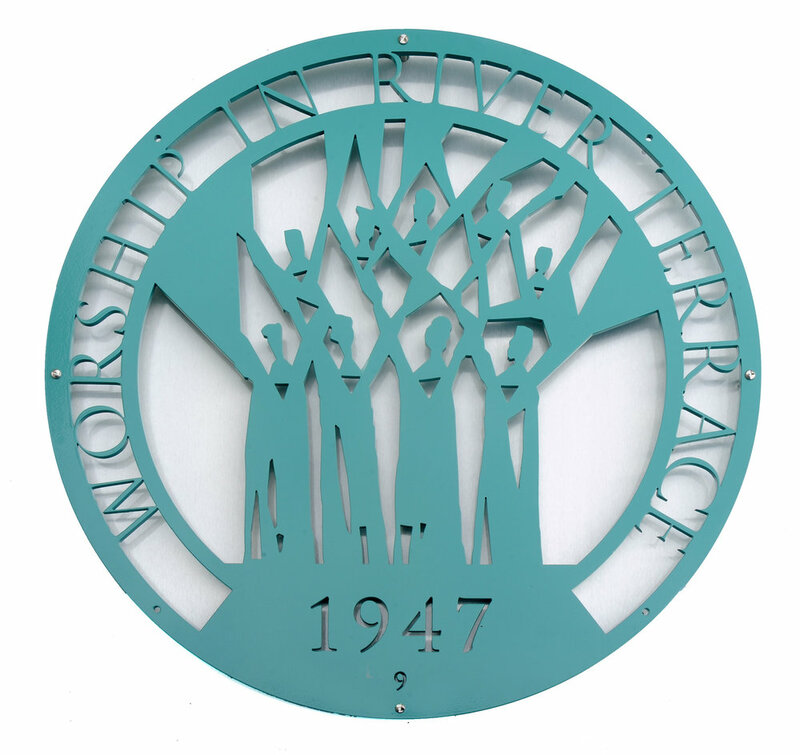 A series of 30-inch diameter painted steel medallions connected with intertwined four-inch metal "waves" make up the artwork andtell the history of the River Terrace Community from 10,000 years ago to the present. 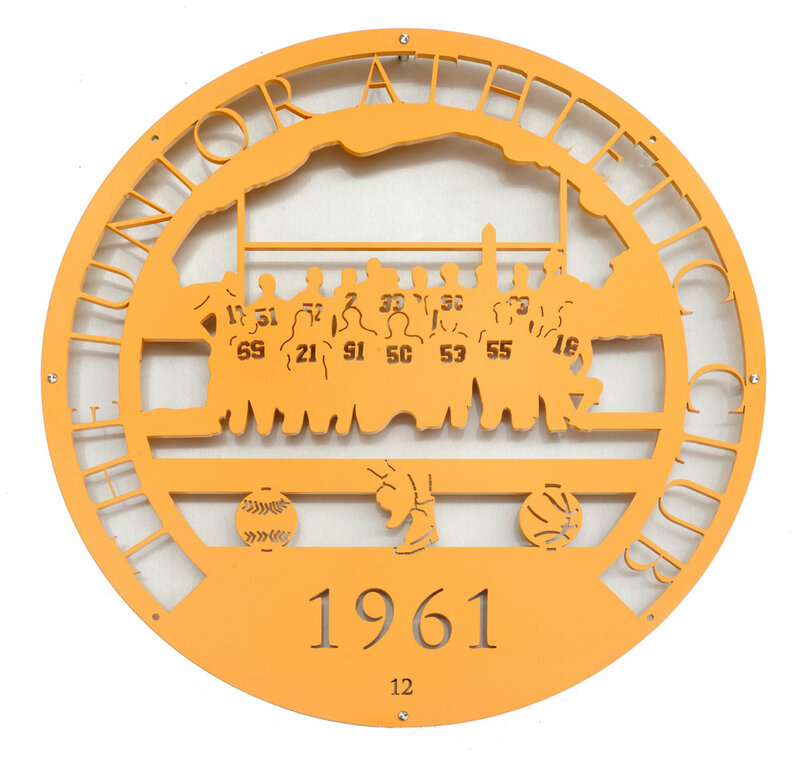 In recognition of its community significance, the District of Columbia Commission on the Arts and Humanities Washingtonia Collection purchased a three quarter size recreation of the medallions. They will be housed in various public buildings in the District of Columbia under the Commission’s Public Art Program. 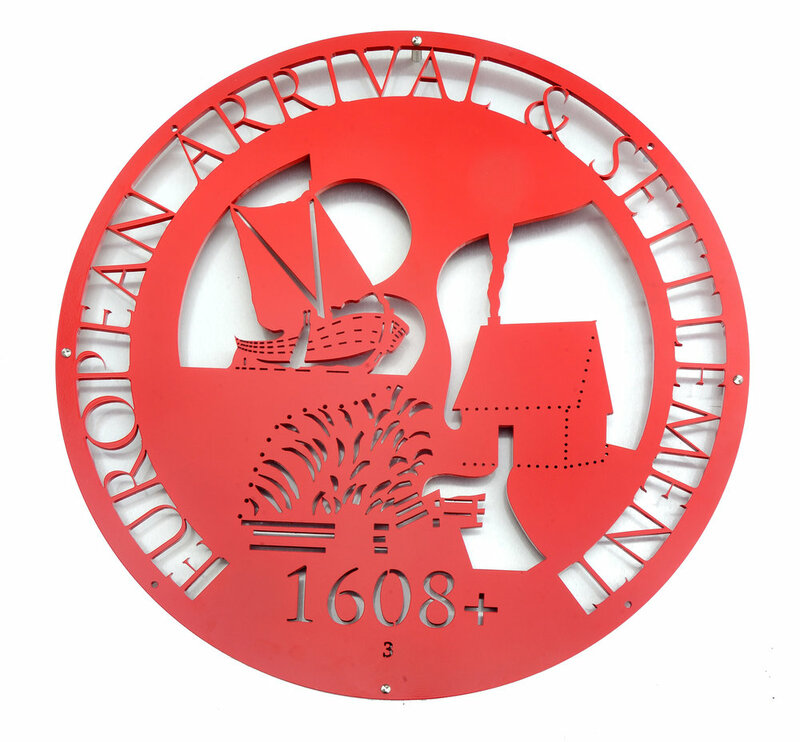 Drawings of the artwork and a photograph of a model of the project are included below. For a complete overview of the medallion descriptions click here.